Cymbals are an integral part of a drum kit. 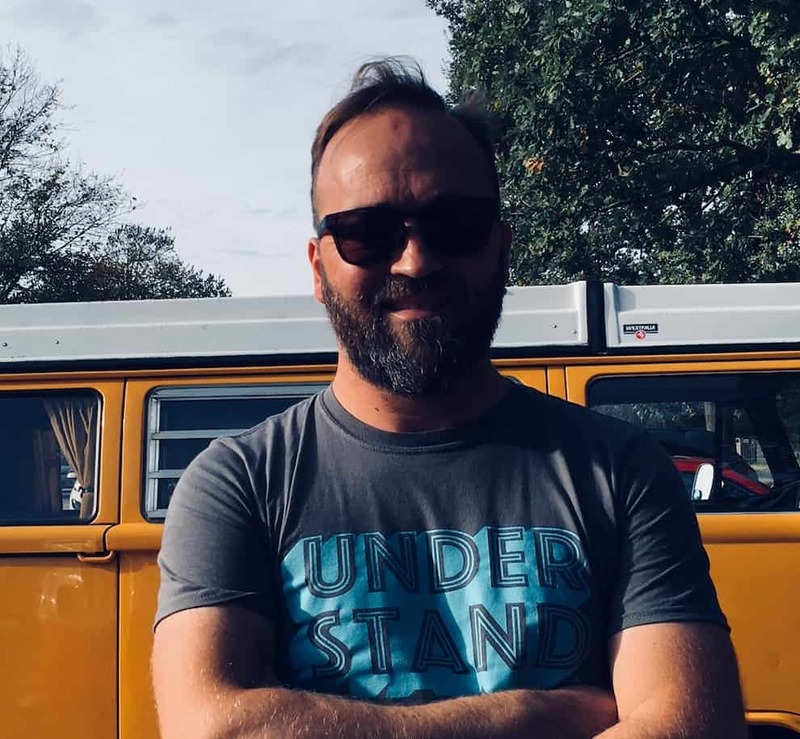 Although they look fairly straight-forward, there’s more to them than meets the eye, and an incredible amount of effort goes into making them. In this article, we went looking for the best cymbals. Here’s what we found. If you’re looking to upgrade your cymbals, chances are there’s one in particular that you’re really keen to replace. It might be that, rather than replacing your hi-hat, ride or crash, you’re keen to add an effects cymbal to your kit. Here, we’ll look at some things to look out for when shopping for each of the different kinds of cymbals. When shopping for hi-hats, two of the main things to consider are diameter and thickness. In terms of diameter, hi-hats are usually 12, 13,14 or 15 inches. The middle two of these lengths are by far the most common. But which one’s right for you? Smaller hi-hats tend to be brighter and more responsive. This makes them well suited to fast, tricky rhythms. Bigger hi-hats are louder, darker and heavier. They’re perfect for heavy metal music. They also sound great when played semi-open, whilst smaller hi-hats typically sound best either open or closed. Whilst the diameter of your hi-hat will determine the sustain, frequencies, and volume of your sound, the thickness will also impact volume, pitch and articulation. Thicker hi-hats are higher and louder than thin ones and have a bright, articulate sound when played in the closed position. If you play semi-open, you might prefer thinner cymbals as they have a pleasant, ‘sizzling’ sound when your foot’s half up, whilst thick hi-hat cymbals can bash against each other in a less pleasant sounding way. So, if you’re a heavy rock player, who plays semi-open, hi-hats that are large in diameter but thin in depth will give you the most musical sound. If you’re looking for volume over everything else, thick and large is the way to go. If you’re looking for something bright and ‘sizzly’, small hi-hats will suit you. Thin ones are usually labeled ‘thin’, so you know what you’re getting, and thicker cymbals are usually described as either ‘thick’ or ‘heavy’. Ride and crash cymbals can often be the subject of debate amongst drummers. Some beginner kits come with just one cymbal: is it a crash or is it a ride? The truth is, all rides and all crashes can also be used as one of the other. If you use the cymbal to make a steady, constant rhythm, you’re using a ride. If you use it to accentuate the beginning of bars or other key moments in songs, you’re using a crash. Having said this, there are often differences between cymbals marketed as rides and those sold as crashes. Ride cymbals often have a greater diameter than crashes – at 20-22”, and they’re also thicker. Crash cymbals are usually 14-18” and thinner. Crash cymbals also have a more varied taper, with the cymbal being thin on the outside and extremely thick at the bell. This encourages very little stick articulation, resulting in a ‘crash’ sound as you whack it as hard as you can. Ride cymbals, on the other hand, have a consistent thickness throughout, which allows for more stick articulation and offers a ‘pingy’ sound. As with hi-hats, the same rules apply with regard to thickness and diameter. If you want a sustained, heavy crash, go for a bigger, thicker cymbal. If you want something brighter and shorter-lasting, go small. If you’d like your ride to give out a ringing, pinging sound, a larger cymbal is also best. You can get cymbals labeled as ride/crash cymbals. These are often around 18” in diameter, and are adequately suited to both purposes. Perfect if you’re trying to save on space. As well as the basics, you can get cymbals that are marketed as ‘effects’ cymbals. These aren’t essential components of the kit but can be an important part of creating a ‘signature’ sound and making your grooves and fills interesting. There are many different ‘effects’ cymbals around, but the two most popular and versatile are splash and china cymbals. Splash cymbals are similar in build and sound to crash cymbals. The difference is that they are smaller – usually around 8 – 12” – and they have a faster decay. They typically produce high-frequency sounds which cut through everything else. China cymbals are larger and have upturned edges. This gives them a ‘trashy’ sound. They’re often mounted upside-down on cymbal stands, to allow for easy access. Both splash and china cymbals have little to no taper, giving them a consistency of sound and making them easy to strike. Like with all the other cymbals, the larger your splash or china symbol is, the louder and darker it will generally be. 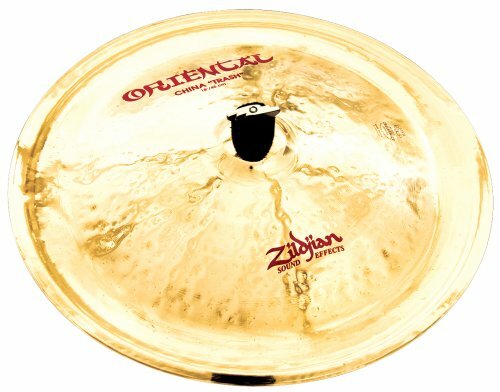 Those looking for something bright and light should look towards the smaller, slimmer splash cymbals, whilst players hunting for something chunky will be better off with a China one. Cymbals are, of course, made from different types of metal. The most commonly used are brass, B8 bronze and B20 bronze. Brass is the cheapest of these three, and it’s what’s most commonly used for beginner cymbals. It doesn’t sound great, and you’re unlikely to want to upgrade to anything made of it. B8 bronze is the next step up. It’s what you can expect to see on mid-range cymbals and it gives them a high tone, a loudness and an intensity. B20 bronze is more expensive. It’s the most popular metal to be used in cymbals as it’s generally considered to have the best sound. The B8 and B20 numbers refer to the amount of tin in the bronze mixture. B8 bronze has 8% tin, 92% copper, whilst B20 has a 20 / 80 mix. The lower the tin content, the higher the frequency. Of course, there are other metals used to make cymbals and different bronze mixtures to B8 an B20. B15 and B12 are not unheard of, and extremely high-end cymbals can be made of stainless steel, titanium and even silver. As well as considering thickness and diameter in cymbal shaping, bell size, profile and taper are also important factors that influence the sound. Cymbals with a larger bell have a longer sustain than those with a small one, but they attack less. Many ride cymbals have a large bell, due to their focus on sustain rather than cutting through with a sudden ‘crash’. Smaller bells have opposite qualities. 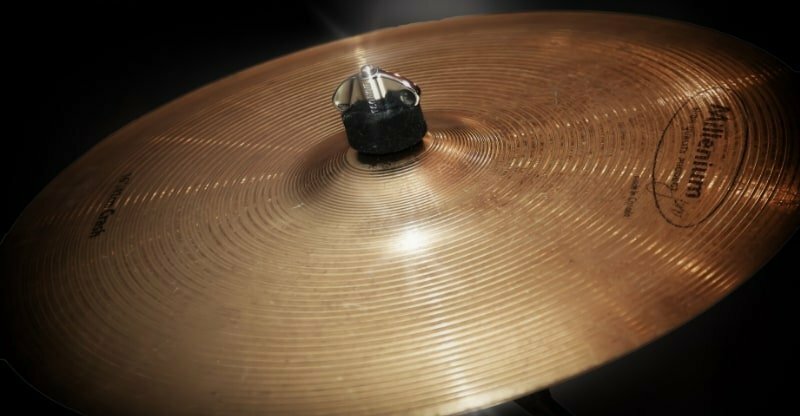 When it comes to the profile of your crash, ride, hi-hat or effects cymbals, consider the curvature along the radius of the cymbal. The greater the curvature, the higher your pitch will be. Tapering is also worth considering. The more your thickness varies across the cymbal, the more versatile it will be. A cymbal that’s thick in the middle but thin towards the edges will offer crash qualities when you strike it to the side and ride qualities when you hit near the bell. If you choose a cymbal with very little tapering, it will have a consistent sound that’s likely to be more cutting and ‘crash’ like. Finally, before you buy a cymbal, check out how it was made. The cheapest cymbals are made by cutting out the shapes from large metal sheets. These cymbals often sound very similar to one another, and you can judge what you’re getting based on another cymbal of the same make and model. However, most decent cymbals are ‘cast’. This means that they’re made after molten metal is set in a cast, then rolled and hammered into shape. Cast cymbals sound significantly better than those that are cut out from large metal sheets. They also have more character, and every cymbal is slightly different from the next. The hammering process can be done either by hand or by machine. Hand-hammered cymbals are usually more expensive. They’re made by professional craftsmen who work hard to create a rich, complex sound that remains original from cymbal to cymbal. Machine-hammered cymbals are more predictable and often have a brighter tone. They’re a little less expensive and you can judge how one will sound from listening to another with the same specs. Zildjian’s K Custom 14 1/4” hi-hats are warm and loud. 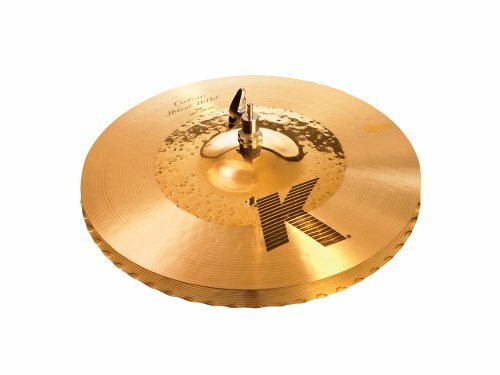 The 14.25” surface area gives them a powerfulness whilst the careful design including a ribbed bottom cymbal encourages articulacy and gives you control. There’s a short sustain on this hi-hat set, owing to the medium-thin weight, which makes them perfect for consistently loud playing. The cymbals are versatile, and as well as being capable of many sounds they also have a half brilliant, half traditional finish. This gives them an edge on most other cymbals, which are either one or the other and will allow you to experiment with multiple tones. They’re pretty expensive: if you’re playing on a beginner’s kit at the moment, these probably cost more than it, but they’re well built, guaranteed to last and appropriate for the professional drum kit. These hi-hats will be well suited to players of all levels and in a variety of styles. Due to the lack of sustain, they might not be well suited to heavy metal but the projection and articulation they offer make them a perfect fit for almost any other genre. Medium-thin weight makes them versatile and gives them a short sustain. Designed to give you the power of a 14” whilst maintaining the articulacy and control of a 13” cymbal. They lack the sustain you might want in heavier genres. Sabian’s Evolution hi-hat cymbals are another 14” set, offering a bright, full sound that can cut through even the loudest of bands. They’re popular amongst professionals including Madonna’s drummer, Meshuggah’s drummer and Robbie Williams’ drummer. They have a modern, dark tone that’s perfect for today’s pop music as well as the heavier genres. The cymbals are thin and sensitive, giving you ultimate control over your sound and ensuring musicality (as opposed to clanging). Like the Zildjian set, they’re pretty expensive, but they’re also built to last and are a truly professional product. Sabian’s Evolution hi-hats will suit drummers who are intermediate and beyond and play modern music. They might be less suited to those who play jazz and are looking for a warm, subtle hi-hat sound. Bright, full sounds that cut through. Thin, sensitive cymbals give you the ultimate control over your sound. They sound dark and heavy whilst open, and have been used this way by many professional drummers. They’re more suited to modern, heavy music than other genres. Paiste’s 2002 Classic Cymbal set contains 15” hi-hats which are medium-heavy. This makes them loud, dark and sharp. There’s a ribbed bottom cymbal, which gives them a sharp ‘chick’ sound that cuts through, and they’re made from B8 bronze which adds some high-frequency qualities into the mix. They’re pretty expensive, like the other sets of hi-hats here, but like the Zildjian and Sabian hats, these are built to last and with the professional in mind. There’s a medium sustain on this set of hats, making them versatile and the dynamic range goes from medium-soft to loud. You can expect a sharp, pronounced stick sound and a crisp, clear tone that suits rock, R&B, heavy metal and beyond. As the ‘classic’ name suggests, this hi-hat set will suit those playing classic rock, R&B and other popular genres. It might be less suited to jazz musicians, as the dynamic range doesn’t go as low as some other hi-hats and the sound is very sharp. Medium / Medium-heavy thickness and 15” diameter make them very loud. Ribbed bottom cymbal gives it a sharp ‘chick’ sound. Made of B8 bronze, adding to the high-frequency qualities. They won’t play as quietly as some other cymbals. 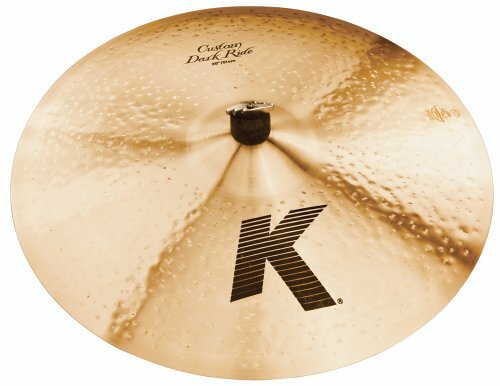 Zildjian’s K Custom Dark Ride is one of those cymbals that, although it’s marketed as a ride, can do the job of a crash cymbal as well. It has a medium-thin weight, giving it a dark/mid sound that suits modern music and there’s a long sustain, making it suited to playing consistent rhythms. When you hit it on the side, it almost sounds like a crash cymbal, whilst playing it around the bow offers dark overtones that resonate nicely without being overpowering. It’s a professional cymbal with a professional price tag, but its versatility makes it good value nonetheless. 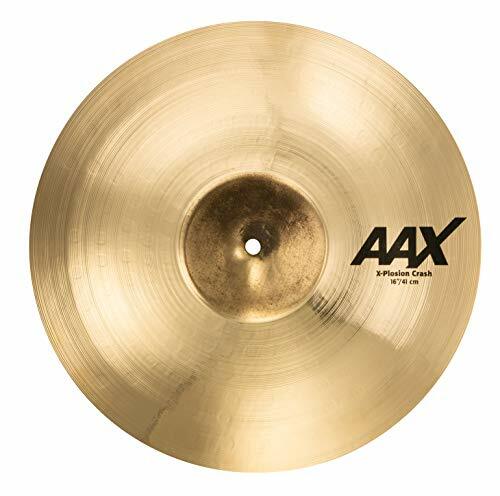 Due to its versatility, this ride cymbal would be well suited to session musicians or those who play in function bands. It might be less suited to those who play in a heavy rock band, as it doesn’t project as dramatically as some other ride cymbals. Has trashy, crash qualities that can be used for accents. B20 Bronze gives it a high quality, rich sound. Dark overtones resonate well without being overpowering. Doesn’t project as well as brighter rides, so it will be less suited to rock music. Paiste’s 20” Mellow will certainly get the lovers of jazz drumming excited. It’s hand hammered, so you know you’re getting something of unique quality and the carefully designed B15 bronze gives it a rich sound that’s suited to mid-frequencies. Despite its size, this cymbal is mellow and well-suited to low volumes. The attack is crisp and the fade is rapid, so you won’t be drowning anything else out beneath its smooth sizzle. It has a limited range of frequencies, so you can expect a consistency once you start playing and there’s a small bell so you can trust the sound to remain short and sweet. This ride will suit those who want a smooth, subtle sound to accompany jazz musicians in acoustic gigs at intimate venues. It will be less suited for anybody looking for volume in their ride. Warm and mellow, suited to low volumes. Crisp attack and fast fade makes articulation easy. B15 Bronze gives it a high quality, rich sound that’s suited to mid frequencies. Less suited to louder playing. The range of frequencies is limited. 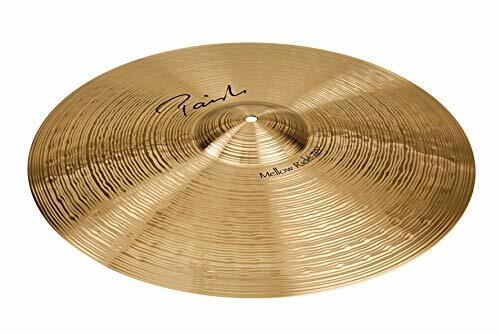 Sabian’s 16” crash is in many ways opposite to Paiste’s Mellow Ride. It has a bright attack, thanks to its medium thin depth and its power mean that it really does sound like an explosion. The sustain is massive, meaning that your impact won’t fade in a hurry and the B20 bronze mix makes the overall sound rich and of a high quality. 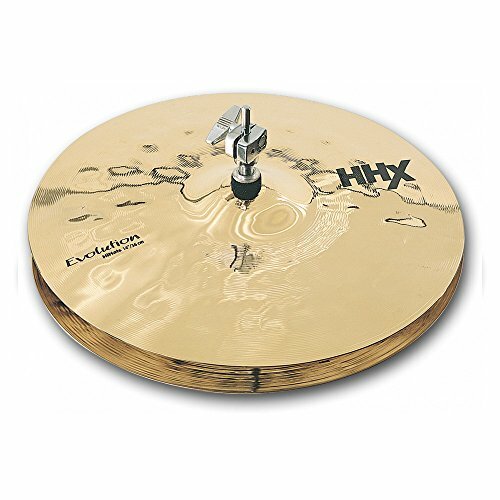 The X-Plosion cymbal has quite a large bell and little tapering, meaning that your sound will be consistently loud. It’s capable of subtler sounds, but is at its best when you hit it hard. Due to its power, volume and brightness, this cymbal will be very well suited to rock musicians who want to make an impact. It would be unlikely to be appropriate for a jazz musician. Medium thin depth gives it a bright attack. It won’t suit those who want something more subtle or darker. You might not be able to use this as a ride, due to its sheer powerfulness. 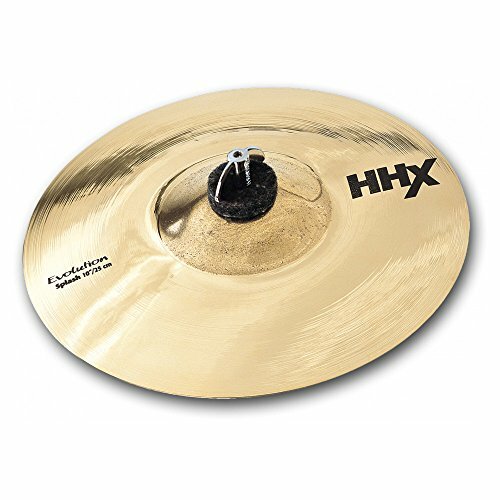 Sabian’s HHX Evolution Splash is a high-quality effects cymbal made from B20 bronze. It has a short sustain, meaning that you can throw it in without worrying about other sounds being drowned and there’s very little tapering giving it a consistency as well as biting qualities. It’s hand-hammered, so you can be sure you’re getting something unique and high quality and there’s a large bell which gives the splash a decent amount of volume. It has a dark sound that fits in with modern genres and a sensitive response that will react differently each time you strike it. It’s a professional product, but comes at a surprisingly reasonable price. Sabian’s HHX Splash will suit those who are looking to add a high-frequency, high-quality crash-alternative to their kit. It will be less suited to those who are looking for something to use like a hi-hat. A dark sound which suits modern genres. Short sustain means that it won’t overpower other sounds. Won’t suit those who are looking for a ‘beefy’ sound. It’s very biting, which isn’t right for all genres. Zildjian’s China Trash is an oriental cymbal with a bright sound, loud volume and lengthy sustain. It’s made from B20 bronze, giving it a richness and despite its diameter, it’s very thin, so you can expect a depth that adds a complexity to the sound and keeps the volume below overpowering. It’s the kind of cymbal you’d use sparingly, to add layers to your performance and its ‘trashiness’ could suit many genres, from punk to space rock. It’s pretty expensive, but will really add an exotic layer to your kit that it’s impossible to ignore. The Oriental China Trash will suit experimental, creative drummers who are looking for something that manages to be both bright and booming. It will be less suited to those who are looking for a high-frequency sizzle. Fast response and rapid decay. Long sustain adds to the impact. High pitched sound won’t suit everyone. It’s not as loud as some other cymbals. You might be looking for more than one cymbal, or you might just be on a mission to upgrade your crash. Whatever your situation, there’s a cymbal here for you. If it’s your hi-hats you need to replace, you have the Zildjian K Custom, Sabian Evolution or Paiste Classic cymbal set to choose from. 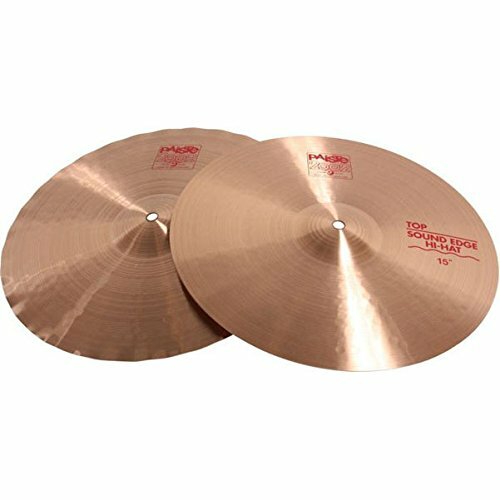 Zildjian’s hi-hats are perfect for rock drummers, Sabian’s lend themselves to heavier styles including metal and the Paiste set is versatile amongst all classic genres. If you’re replacing a ride, Zildjian’s K Custom Dark Ride or Paiste’s Mellow Ride are your options. The Custom Dark Ride has a long sustain and is suited to modern music, whilst the Mellow Ride is quiet, ‘mellow’ and good for jazz. The Custom Dark Ride also has crash-like qualities, but if you’re looking for the ultimate crash cymbal then it has to be Sabian’s 16” X-plosion. This crash really is explosive, with its loud projection, long sustain and bright attack. If you’re adding to your cymbals, rather than replacing old ones, you might like a splash or a china. The Sabian 10” Evolution splash offers a short, sharp, high-pitched crashing sound, whilst the Zildjian 18” oriental china can add an exotic, bright yet booming sound to your kit. None of these high-quality cymbals come particularly cheap, but they’re all built to last and with performance in mind. We hope that this page has helped you to find the next addition to your set of cymbals. Have fun!